Tony Natalizio is a lifelong student of music. He strives to continuously grow and change as a musician, which drives his intense urge to succeed. Tony is a guitarist, singer, and songwriter from Wooster, Ohio (now living in Burlington, NC). Blues, jazz, and country inspire his musical style. Tony plays guitar and sings in Sentenza, whom released their self-titled, debut CD in July 2012. He is a regional performer playing with Sentenza and several other acts in North Carolina and surrounding states. With a goal of being involved in as many projects as possible, he has performed with many great players in North Carolina. Tony also teaches guitar lessons at Shomaker Guitars in Burlington, NC. His first musical instrument was the saxophone, which he played in the school band. This was an important step in his music career. He learned to read music and perform at a young age. When he was 12, he received a guitar and started to teach himself how to play. After being self-taught for many years, Tony called upon local players for lessons to take his playing to another level. He continues to study and learn so that he may become as diverse as possible, and even has an Associate’s degree in recording engineering from Guilford Technical Community College in High Point, North Carolina. 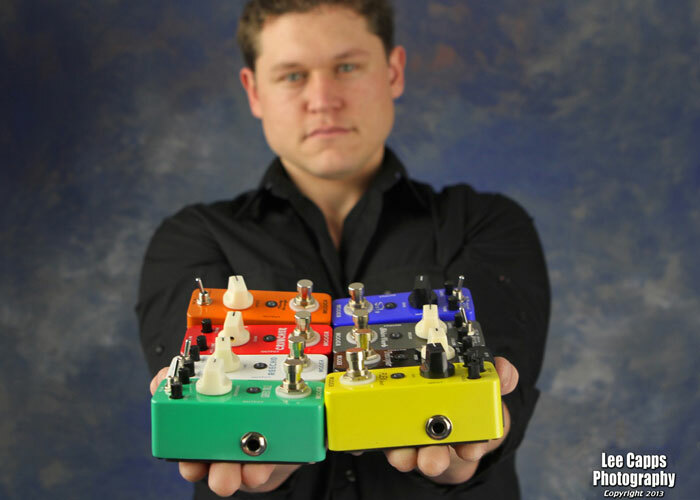 ← Taurus Amp – News!